﻿Social media sites like Facebook, Twitter, and YouTube connect people around the world in ways Marshall McLuhan could not have dreamed of when he popularized the term “global village” back in the 1960s. Fast forward 50 years and we find that the global village has indeed materialized, with new ideas and information being shared between people all over the world. Since education has always been about exposing people to new ideas, it’s not surprising that the impact of social media is being felt in the education sector. 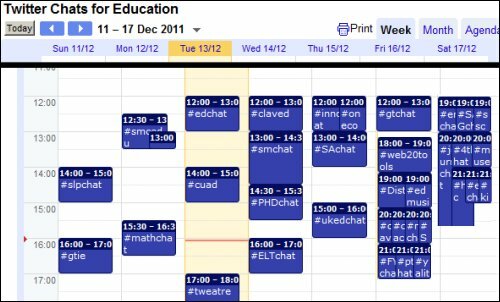 Here are some specific ways in which social media is changing the education system for both students and educators. At a very early age, and all over the world, many children are now being introduced to the concepts of social media. Although primary school children are too young to have accounts on most social media platforms like Facebook, Twitter and so on, fun learning sites like Pixton replicate many of the same content creation and sharing features found on the mainstream social networks. Perhaps due in part to shrinking school budgets and funding, some schools now find themselves the benefactors of hardware and software from a variety of manufacturers eager to introduce new audiences to their technological products. The chalk slates of yesteryear are now being replaced in the classroom by their internet-connected counterparts — tablet computers and smartphones. Children are growing up with the concept of using apps to play educational games and they’re being taught how to connect with people and information that resides outside the classroom (and beyond their cities and states). In other words, even though middle schoolers are not necessarily taking part in social media sites themselves, they are learning the skill sets required for successful social networking. 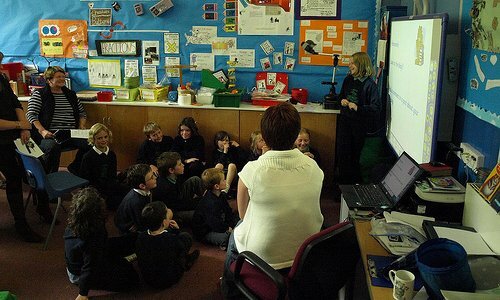 Children are also being taught new concepts like online privacy at the same time they’re learning how to read and write. This means that social media is influencing education at its very foundation. As children get a little older, they typically spend more of their own time using the computer at home, playing online games, chatting on their mobile phones, and connecting with their friends on social media sites like Facebook. Kids are now referred to as “digital natives” — they’ve never known a world that wasn’t connected to the Internet. Since they are already very skilled at using social media sites, in many cases the education system is playing catch up to make the school curriculum more interesting and engaging to this social media savvy demographic. For example, some educators are suggesting a bold and controversial approach. The theory is that by changing at least some of the curriculum to adopt familiar social media activities like checking in or collecting incremental rewards for completing various tasks, that the education system will become more relevant to students more comfortable with the “gamification” culture. Whether this type of change in the way we create and deliver education to our children is more beneficial or effective than traditional methods remains to be seen and is the subject of a number of ongoing experiments across the country. Never in the history of education has access to new methods and theories been so immediate or ubiquitous. Educators no longer need to feel as if they are teaching in isolation. Teachers can communicate instantly, and directly, with the current leaders in their fields to compare notes on education techniques, curriculum, and so on. For example, teachers are using social media sites to find out about innovative concepts like “flipped classrooms” or to share the latest iPad apps for high schools. Teachers, professors and academics routinely use blogs to write about the world of education and invite comments from colleagues all over the world. They can expand the conversation to social media outposts and use techniques like Twitter chats (see image above) to engage a global audience in real time. 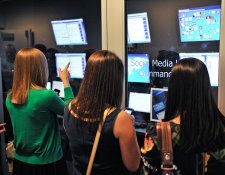 Even admissions departments are leveraging the power of social media. Many colleges and universities now research applicants on platforms like Facebook and LinkedIn to verify credentials and screen for criteria that supports or hinders a student’s application. Any advancement in technology has its supporters — and its detractors. By all accounts, it appears that we many be at the cusp of an educational revolution, where the impact of social media is radically changing the way education has been traditionally delivered. Time will tell whether the benefits outweigh the drawbacks but one thing is certain — social media is having, and will continue to have, a lasting impact on the education field.